This long sleeved maternity tee is super comfortable and flattering for the pregnant body. The 1x1 baby rib will stretch with your growing belly! 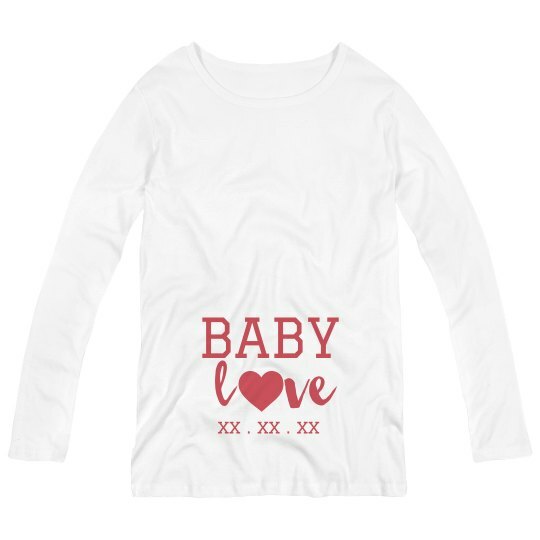 For the glowing mother-to-be, celebrate the baby love by getting a customized maternity shirt in time for Valentine's Day. Customize one in our design center by adding your baby's due date that you and your partner have been counting the days to.